LW is very pleased to announce that we were recently featured as guest writers at Inexpensively.com . Inexpensively.com provides budgeting advice, lists coupons, hot deals, and weekly grocery lists. Our article, Internet Freebies and Giveaways – Stop and Think Before You Click Send – 5 Tips To Help Keep Your Personal Information Safe is found on their website. Please click here to read the full article. Most of us moms are pretty savvy when it comes to scoring a 6 pack of Lysol for $1.99. But, at times we forget to apply this same savoir faire when it comes to giving out our personal information on-line. Follow these 5 simple steps to shield your privacy from prying eyes. 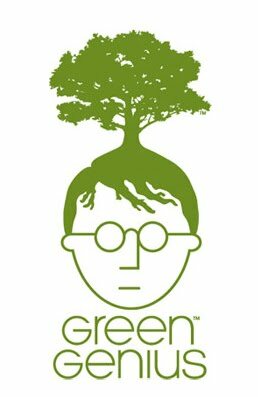 Green Genius is an environmentally conscious company. Their mission is to develop products across multiple categories that will help remove plastic from the environment. Receive a free sample of their fully biodegradable plastic trash bags by clicking here. Great resources here! Thanks for linking up at The MamaZone. I’ve just subscribed to yourfeed. Thank you and ditto! I discovered a lot of wonderful products and services at The MamaZone. Loving this! I’m trying to be more green so I can’t wait to try these out. Now following from FFF @ MBC! Thanks for stopping by and for following (ditto)! I think you will be please with Green Genius trash bags. “Going Green” is such a hot topic and seems to resonate with a lot of folks. Please write back to let us know what you think of their product.